To find out more about Middlesex County Golf Union click on the logo. 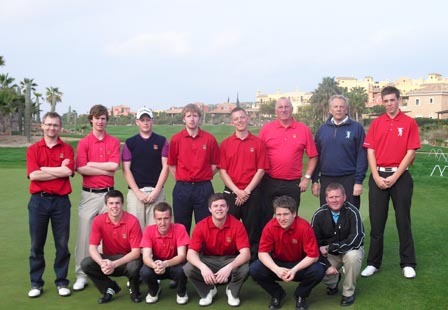 Middlesex County Union first visited Desert Springs for their official warm weather winter training camp back in 2002, which was repeated during 2003, 2004 & 2005. Just to say a big thank you for all your efforts in arranging the groups stay over this last weekend, great feedback and having played the course and tasted the facilities I was very impressed. Thank you again and we will be covering a feature in the Golf guide and internet which can only endorse what you have always stated about your resort.